Certified drinking water in as little as 24 hours. 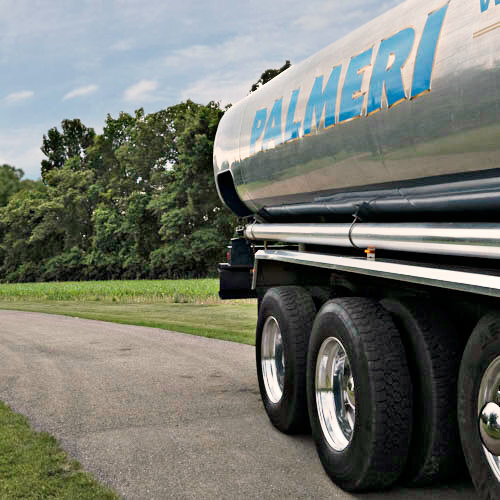 Palmeri Group has been meeting the water needs of customers since 1962, and it’s the only company in the Lehigh Valley that is certified by the Pennsylvania Department of Environmental Protection. We deliver certified drinking water to you for industrial, construction and emergency use. Tanker capacities to fit most any need. Our modern, well-maintained tanker fleet provides up to 5,500 gallons of chlorinated water in a single trip. We can work with your contractor to schedule day, night and weekend deliveries in as little as 24 hours, and sometimes less. Bulk water for recreation and daily use. We will work with your insurance provider to secure replacement water due to a disaster. Contact us at info@palmerigroup.com with the details of your claim.